Dorothy G. Esposito Marks (nee Gibney), passed away peacefully at Clove Lakes Nursing Home on May 30, 2018 at the age of 92. Born in Staten Island, NY in 1925, Dorothy worked as a bookkeeper for Brook Hatten Plumbing where she later married the love of her life, Warren Marks and had 2 loving sons, Robert and Thomas. 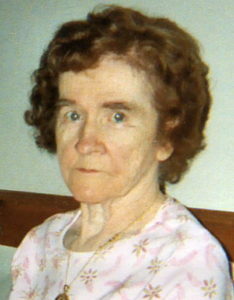 Dorothy is predeceased by her first husband, Warren in 1973 and her second husband, Vincent Esposito in 1995 as well as her four brothers, Frank, Joseph, John and Michael Gibney. Surviving are her loving sons, Robert (Catherine) Marks and Thomas (Terry) Marks. Her loving sister and brother, Mary Sturn and Thomas Gibney. 3 Wonderful Grandchildren, Jessica, Stephanie and Marrissa and 5 Great Grandchildren, Savannah, Ash, Mirabelle, Fionna and Gage.